Per our annual tradition, my friend, Yvonne, and I collaborated to create a few Halloween treats! 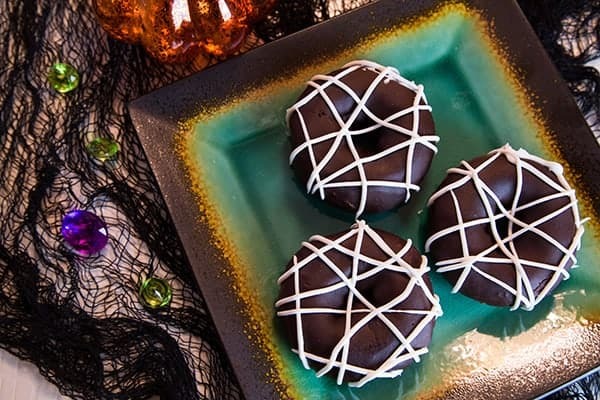 This year we made Pumpkin Spider Web Donuts, Spider Egg Donut Holes, Pumpkin Spice Cashew Milk, and a Goulish Martini! Going strong, this is our third year Halloween Extravaganza! On previous years, we completely outdid ourselves and made a billion recipes, but this year we were beyond thrilled just to complete these four. Yvonne just kickstarted her new business where she sells homemade, vegan treats to specialty bakery shops in LA. She is seriously incredible and everyone in LA is going crazy over her treats! So yes….between her new business, flying to Vegas, planning my baby shower, baking the desserts for the shower, and just life in general…we seriously felt like superheroes when this was accomplished! This is a REALLY yummy recipe, and it’s made especially for you by a fabulously trained culinary chef! 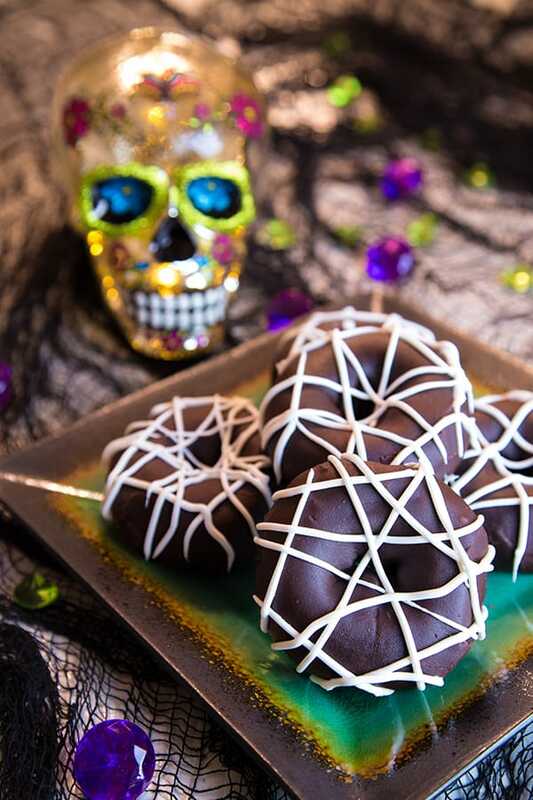 Oh yeah, and if you want to make this recipe into donut holes, check out our Spider Egg Donut Hole recipe HERE!